To improve the simulation’s result, increase the Simulation Precision, this will give significant improvement at the cost of performance. 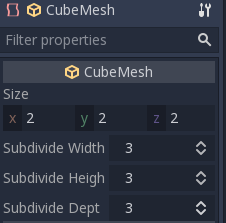 Let’s make a cloak in the Platformer3D demo. 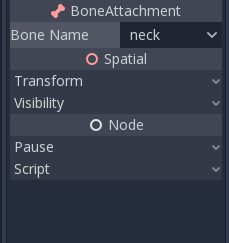 BoneAttachment node is to attach objects to a bone of a armature. The attached object will follow the bone’s movement, weapon of a character can be attached this way. The pinned joints can be find in SoftBody’s Attachments property, choose the BoneAttachment as the SpatialAttachment for each pinned joints, the pinned joints are now attached to the neck.